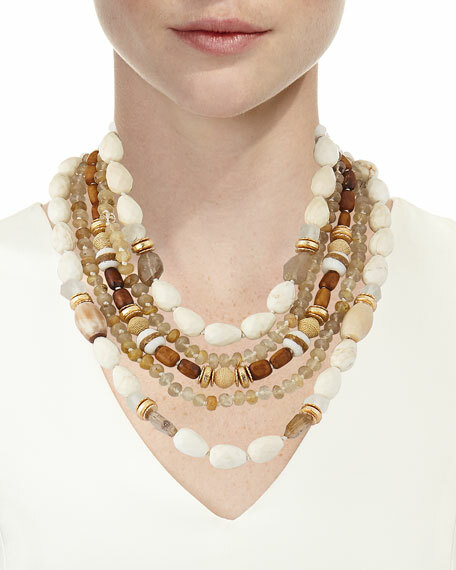 Akola five-strand beaded statement necklace. Polished yellow golden plated brass hardware. 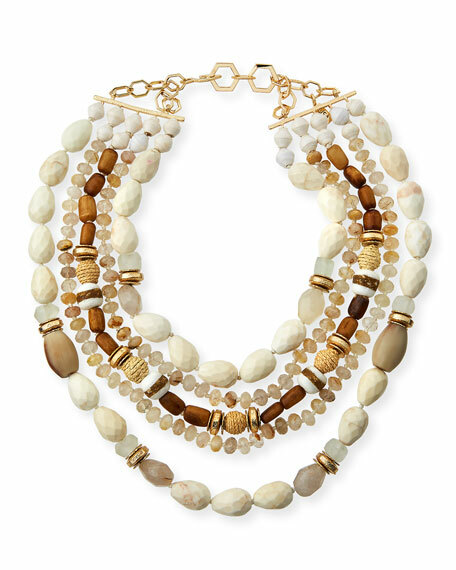 Quartz, howlite, glass, raffia and bone beads. For in-store inquiries, use sku #2615403.